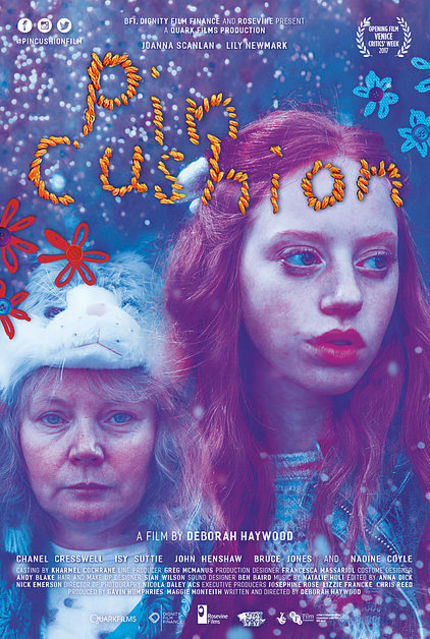 Director Deborah Haywood has won a lot of love for her quirky outsider drama Pin Cushion, including in these very pages. And with its festival tour continuing with a stop at the International Film Festival Rotterdam just around the corner, Screen Anarchy is very pleased to present the first look at the film's official trailer. Super close Mother LYN and daughter IONA (Dafty One and Dafty Two) are excited for their new life in a new town. Determined to make a success of things after a tricky start, Iona becomes ‘best friends’ with KEELY, STACEY and CHELSEA. Used to being Iona’s bestie herself, Lyn feels left out. So Lyn also makes friends with BELINDA, her neighbour. As much as Lyn and Iona pretend to each other that things are going great, things aren’t going great for either of them. Iona struggles with the girls, who act more like frenemies than friends, and Belinda won’t give Lyn her stepladders back. Both Mother and Daughter retreat into fantasy and lies. Lily Newmark and Joanna Scanlan star and you can check out the trailer below! Boston Underground Film Festival: First Wave Includes REVENGE, PIN CUSHION, LIQUID SKY & More!